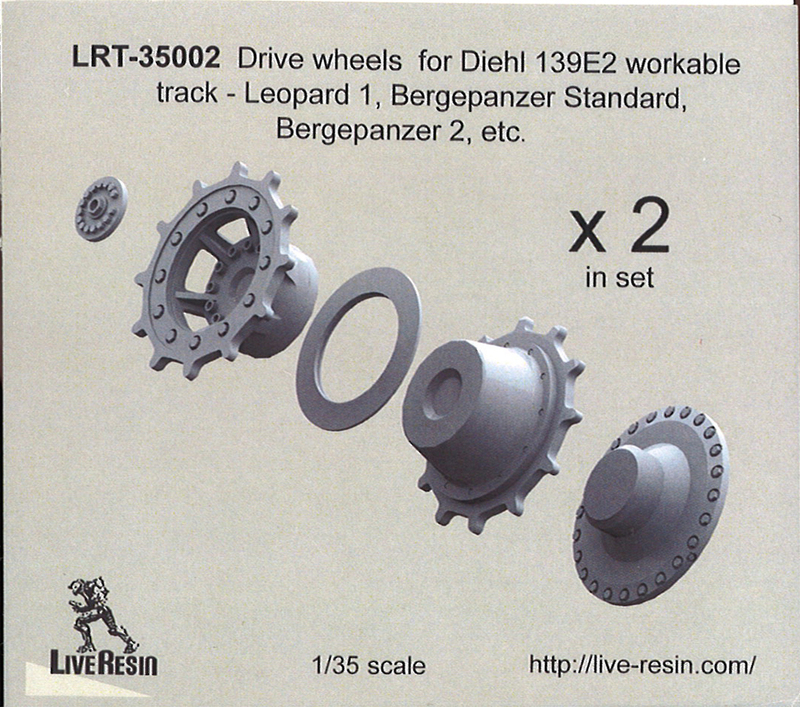 Hot on the news of an early Leopard 1 release from Revell for later in 2015, these tracks will be very useful. The only other ones available are from Perfect Scale Modellbau which I cannot recommend I'm afraid. 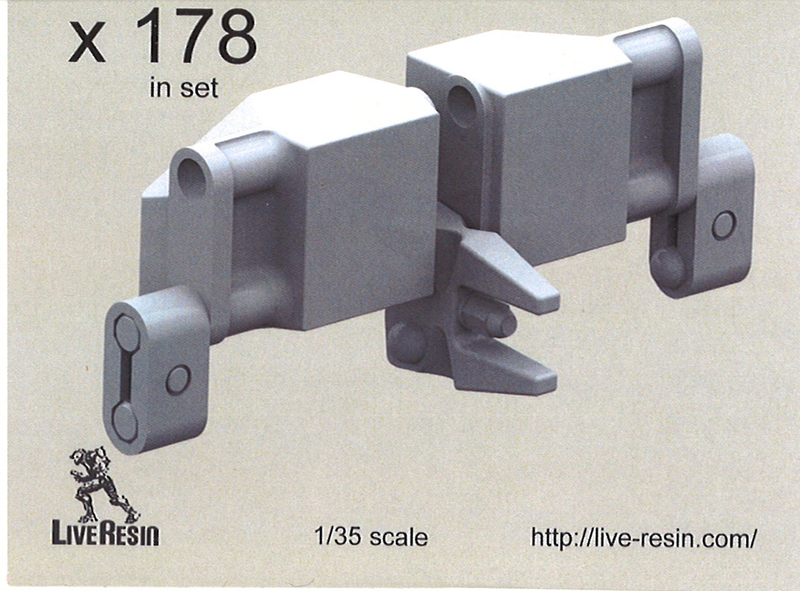 Inside a smallish cardboard is a simple ziplock bag containing 178 individual resin likes. 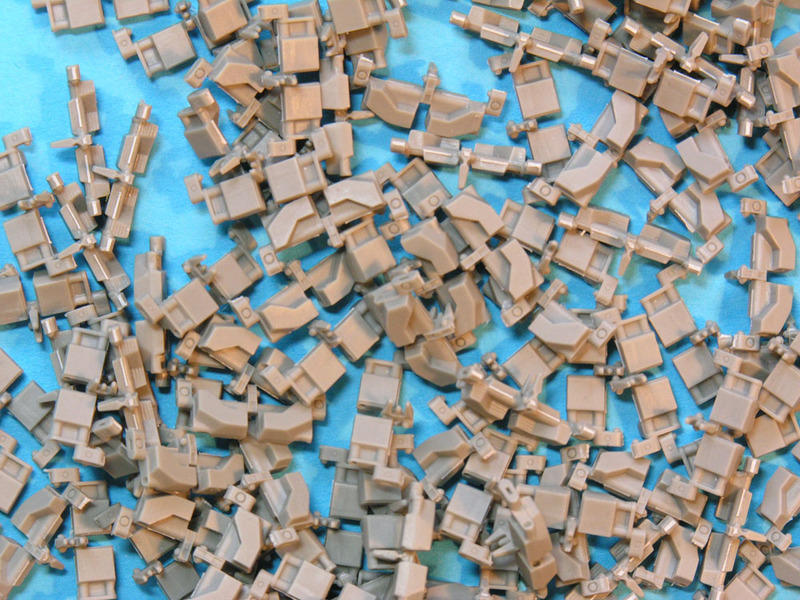 I counted 177 in my package. 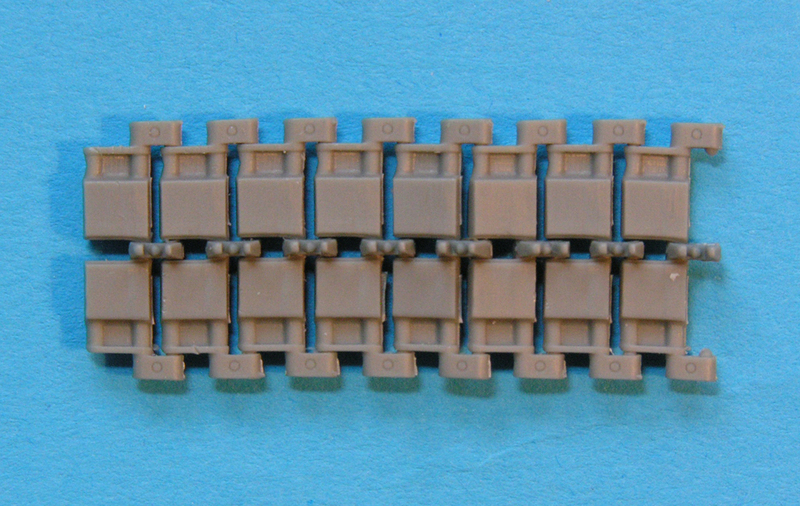 As mention above, the real thing had 2 x 84 links, so there should be 10 spares. There are no instructions. 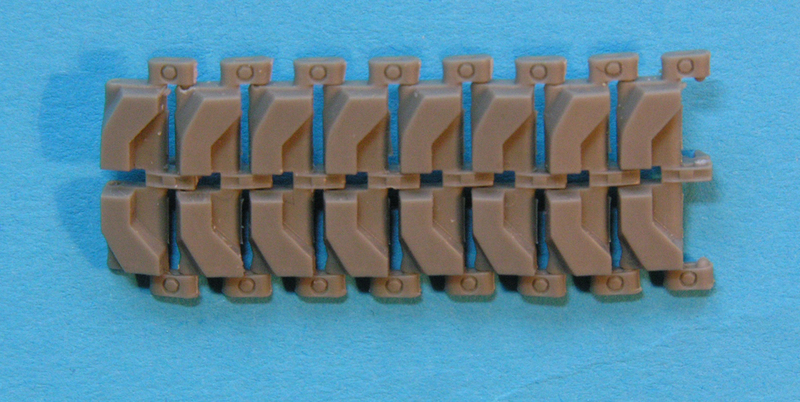 The detail on the end connectors is very nice with the correct hollows between the pins, and the base of the track guide even has the correct detail. Overall 10 out of 10 for accuracy. 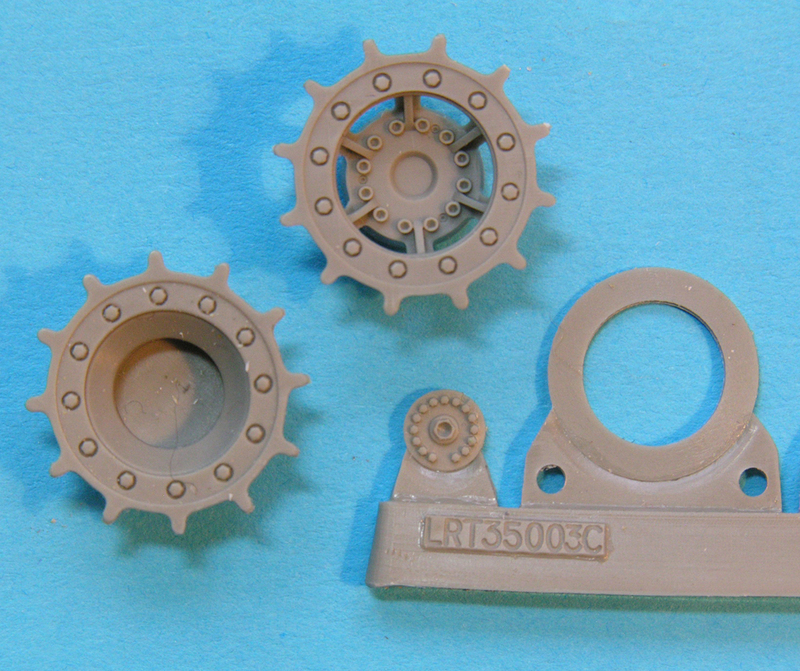 Available as a separate kit are LRT-35002 Leopard 1 Sprockets. 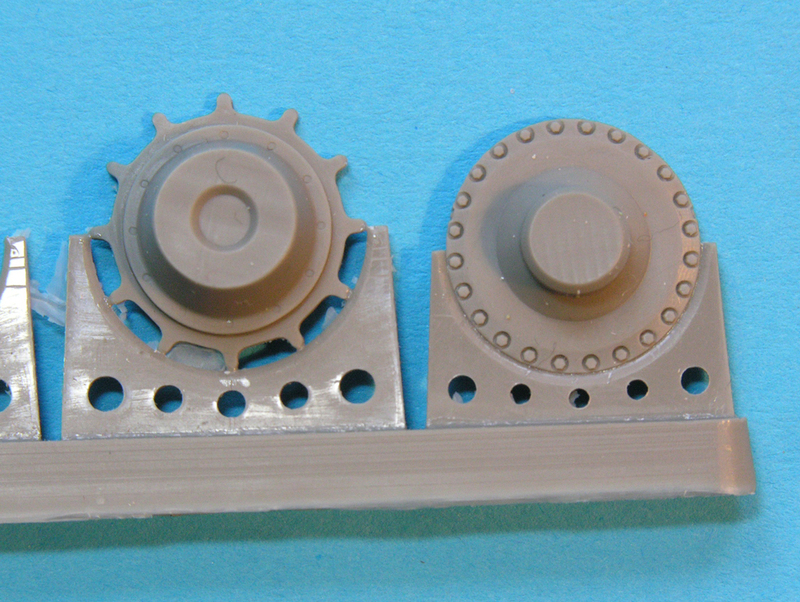 Like the track links, these are beautifully cast and are made up of 5 parts each - the two main halves, a base unit for the hull, an optional mud scrape ring for the centre (not fitted to all sprockets), and a hub with 15 bolts. 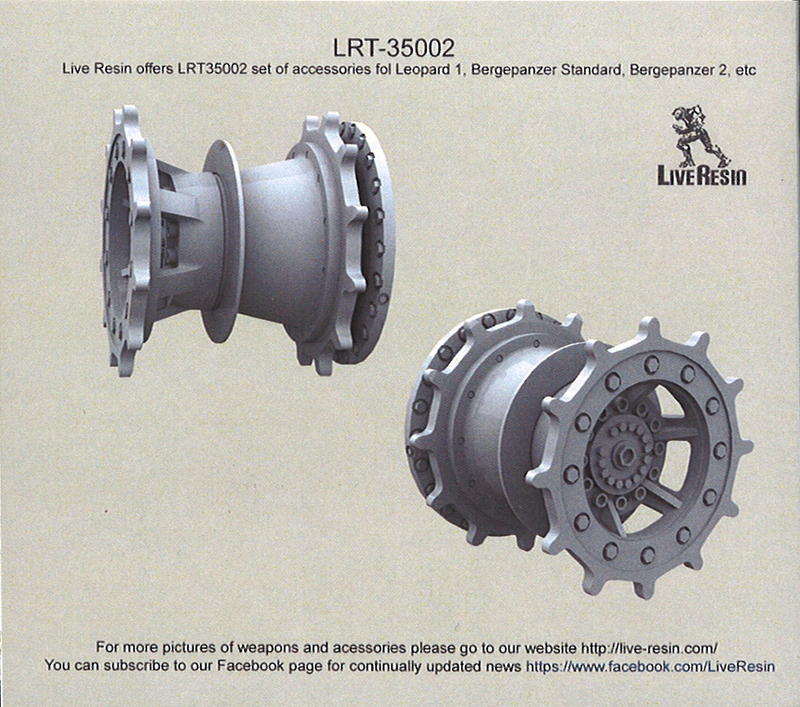 It is a shame that an alternative 8-bolt hub is not offered as this would be far more appropriate for use with the new D139E2 tracks. 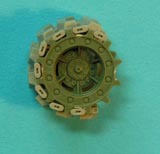 The 15-bolt hub was introduced at the time of of the 1A5 upgrade, long after D139E2 had disappeared. 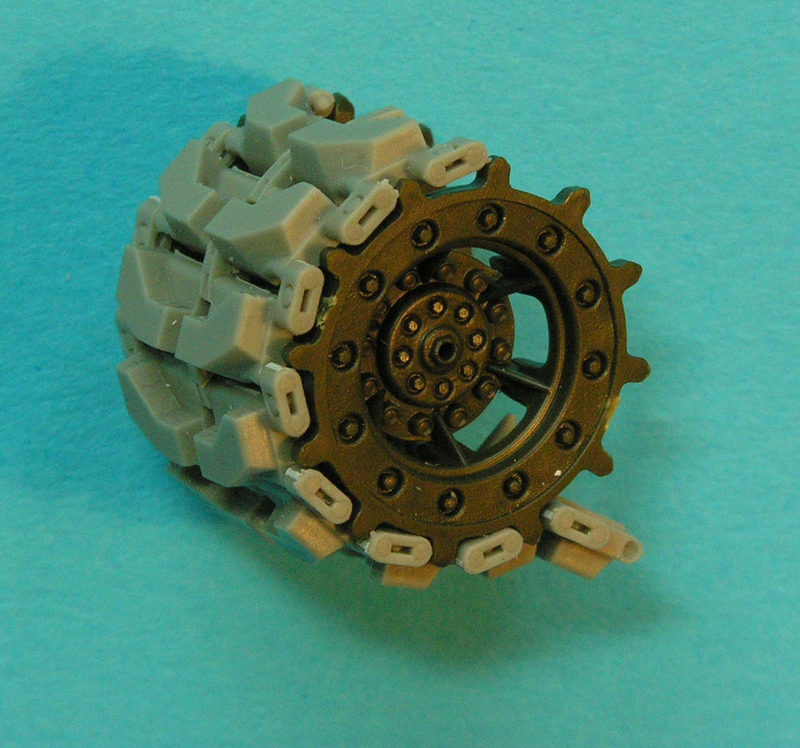 Naturally, the tracks are a perfect fit on the Live Resin sprocket. Although it may not look like it from my photo, they also fit the Italeri (and therefore Revell) sprocket perfectly, too. 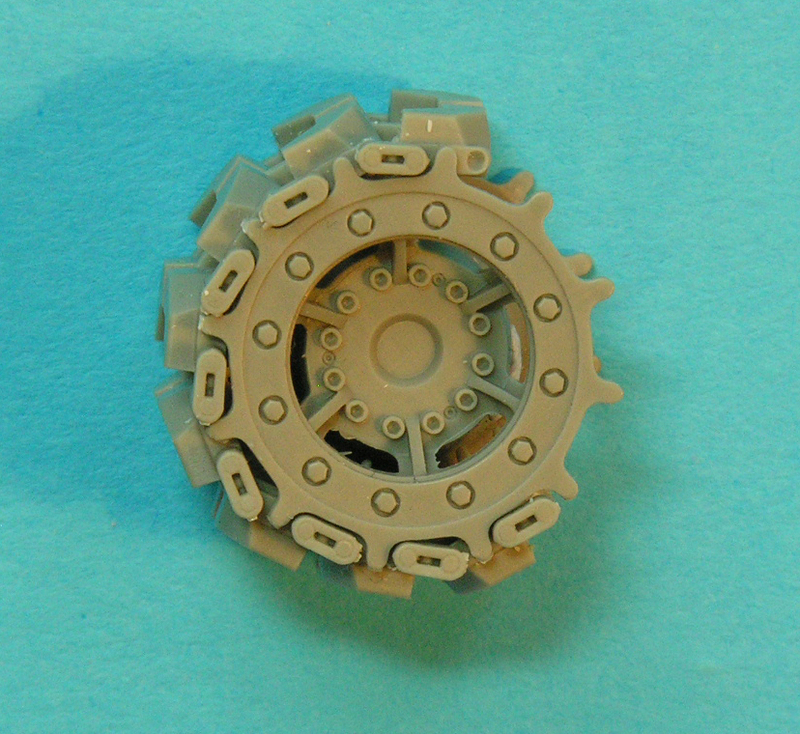 Meng sprockets need a tiny bit of work as the teeth are slightly too wide, but the Takom ones are completely hopeless. 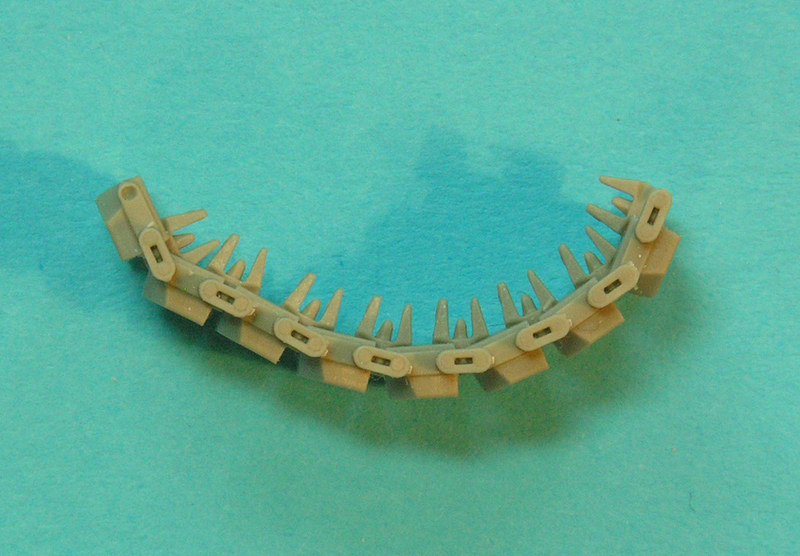 They are too narrow and and teeth don't fit either. A really nice surprise from an unusual source. And a really nice subject. 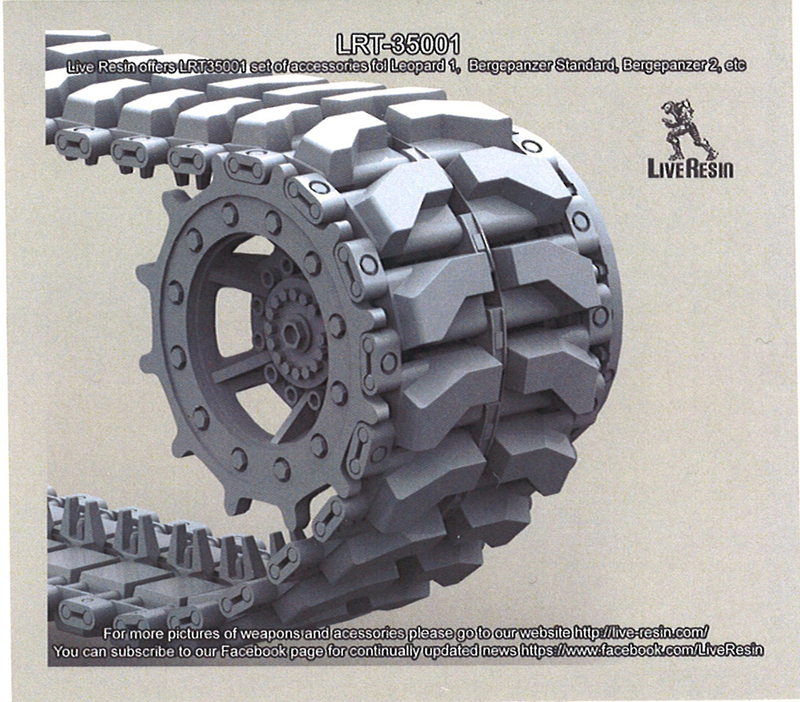 Beautifully engineered and cast. 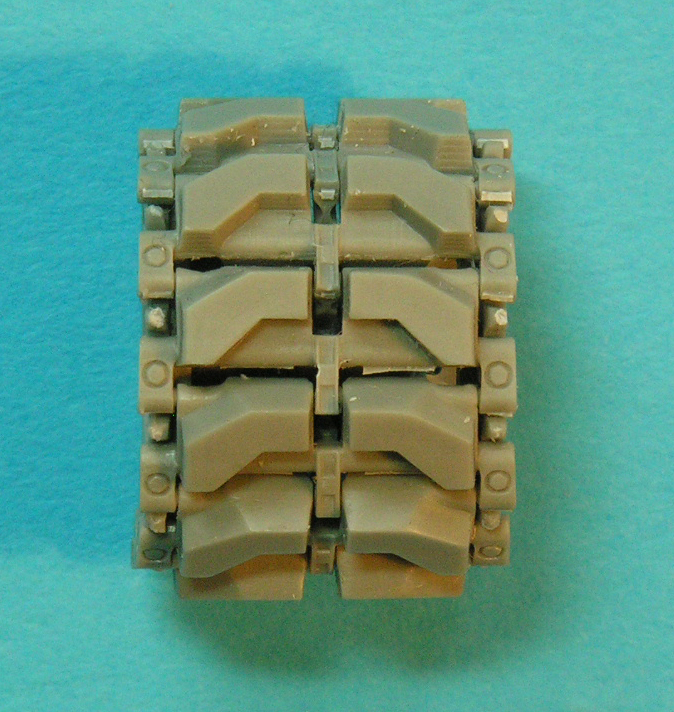 The downsides are that the links don't fit as they are intended, but with some quick cutting, they go together quite nicely. 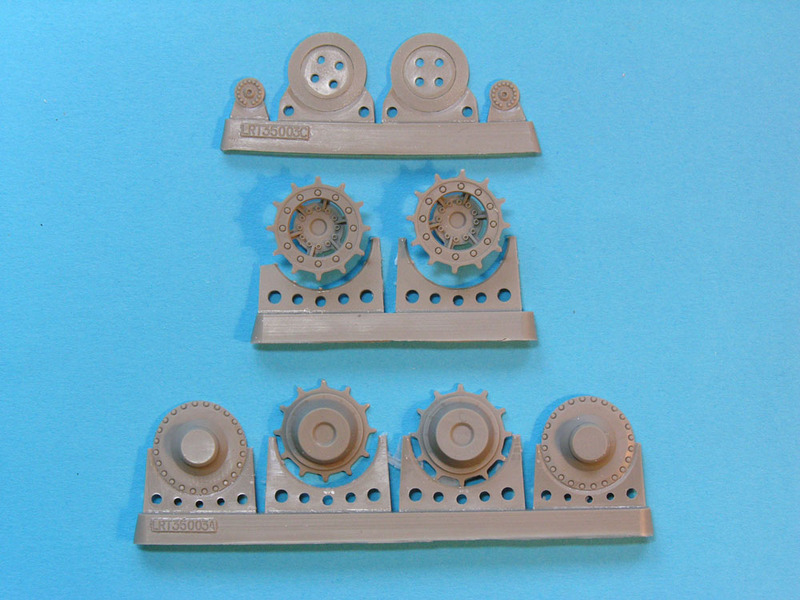 The sprockets need an alternative, earlier pattern (8-bolt) hub to be any use with these particular tracks and the base unit is really superfluous. Otherwise, they are fantastic. The Live Resin website is a bit of a nightmare to get around as they don't have a search facility. Go to this link to view the items. 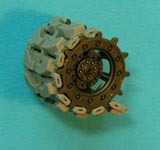 To order directly you have to visit models-hobby.com.